Ready to show!! Great corner lot will catch your eye on this beauty! Great 2 bed 1.5 bath ranch with 1 car garage. Lots of updates in this clean and move-in ranch. 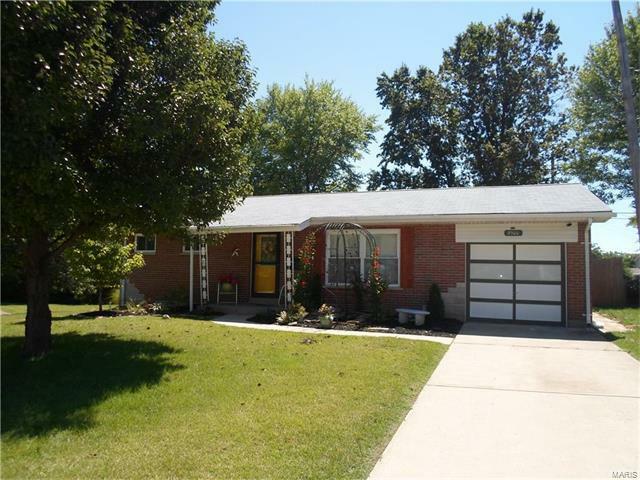 Gleaming refinished hardwood floors, beautiful ceramic tile in updated kitchen, newer carpet in bedroom, crown molding, newer windows, love the 2 panel doors, neutral paint throughout, dining room, lower level has finished room could be used for office, etc. deck and shed attached to garage, pond, beautiful landscaping, fenced yard. New 200 amp electric panel just installed and new roof. There are gas hookups for range and dryer. Great location and great house!! Put this one on your list to see!!! You will not be disappointed! !